Striking the right balance between independence and adventure, support and safety can be challenging. Senior living bridges the gap. Senior living in Columbia, MD, is a great way to maximize your resources, ensuring everything your loved one needs is in a single location. Here’s what you need to know about senior living near Columbia and how you can begin exploring your options. The people who know your loved one best may be a fount of useful knowledge as you begin your search for senior living. Try asking friends, family, doctors, and other people you trust for recommendations, especially if they have a loved one happily living in a senior community. Your local senior center may also be able to help. 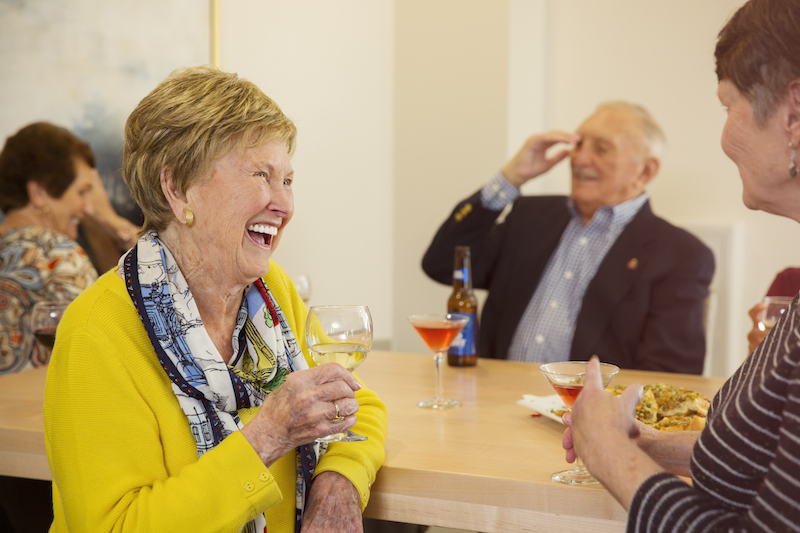 Several senior centers in Howard County host activities and meet-ups where you can network with other seniors and ask questions about senior living. The Office on Aging and Independence also maintains a list of senior living options and publishes guides and tips for choosing the right community for your needs. What’s the ideal location? Columbia is centrally located and is a suburb of both Baltimore and D.C. This makes it an excellent option for many seniors, with plenty of options for entertaining visitors. The Maryland Symphony Orchestra offers great opportunities for family outings. Will your loved one have easy access to exceptional care? As your loved one ages, preventative care and access to specialists become key to long-term health. Columbia is near Johns Hopkins University Hospital, which U.S. News lists as the third best hospital in the nation. What amenities are most important to you? Do your loved one need transportation to local activities? Do they crave lush gardens? Do they want space to spread out? Which activities are most important to them? What about the food? List your five most important amenities, and only consider communities that offer them. What level of care does your loved one need? Independent, healthy seniors may only be interested in independent living communities. But if your loved one’s needs change, they may not want to move. So consider a community that offers a continuum of care, including assisted living and memory care. Once you have a list of communities and an idea of what matters most, it’s time to begin narrowing your options. Try reading each community’s website or Facebook page to get a feel for the community culture. Is there an upcoming event you can attend? Does the community seem welcoming? Next, call to schedule a visit. Pay close attention to how the person who answers the phone treats you. First impressions matter, and this first conversation should leave you feeling valued and excited. The best communities will suggest a range of times to visit and activities you might like. The final step before making your decision is to visit each community on your final list. Encourage your loved one to ask questions and to share their opinions. This decision is ultimately theirs, so listen to and support their goals. Plan your visit for an active time of day, such as during lunch or a community event. This ensures you have time to talk to residents, observe how community members interact, and picture yourself living in this community. Spend some time chatting up staff. The best staff will listen to you and learn about your love one’s needs, take time to answer questions, and be eager to show you around. No question is too odd, too detailed, or too pointed. Your loved one deserves a retirement they love, so ask away. Excellent communities love answering questions because they love showcasing what they offer. The Arbor Company has proudly served seniors in Maryland and across the nation for three decades. We believe retirement should be a joyful adventure, filled with fun, food, and relationships new and old. Give us a call to learn about what we offer! Or to explore our senior living options, check out our free guide, The Journey to Senior Living. Request more information about our senior living community near Columbia, MD by filling out the form below.